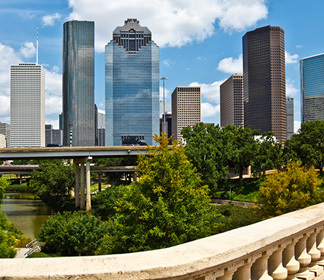 Contact us today to learn more about our CPA services in Houston, TX. At Charles E. Gebhardt & Associates, we put you first. Chuck founded the firm in 1995 with a vision of exceptional CPA services provided by a small but highly service-oriented practice. He received a BBA in Accounting and a Master's Degree with a tax concentration from the University of Houston. A Certified Public Accountant since 1978, he has extensive experience with tax planning, compliance, and IRS representation. After beginning his career in public accounting, Chuck served for several years as a senior financial officer in a diverse line of businesses. In addition, he is an experienced fiduciary and expert witness. A business owner, husband, and father, Chuck has served his profession and community through extensive volunteer efforts. Amara received a BBA in Marketing, with a concentration in Management, from the University of Texas at Austin. She completed her accounting hours at the University of Houston and is a Certified Public Accountant in the state of Texas. Amara joined Charles E. Gebhardt & Associates in August of 2003. She currently handles a large client base and focuses on tax compliance and IRS resolutions. Prior to joining the firm, Amara spent ten years in the tax department at Mann Frankfort, Stein, & Lipp. Lauren joined Charles E. Gebhardt & Associates in January of 2016. She received a BBA in Marketing and Management from the University of Houston. She currently handles office administration as well as marketing and some accounting duties.